Technology courses are essential to every Catholic school curriculum. In fact, technology is required to be integrated throughout each course of study from Mathematics to Religion. The use of technology in the 21st century is integral to preparing students for college and career success. Technology courses in Catholic schools cover a variety of lessons including Research and Information Fluency, Digital Citizenship, Creativity and Innovation, Communication and Collaboration. All of these units are taught and influenced by the lens of Catholic identity and the dignity of all humankind. 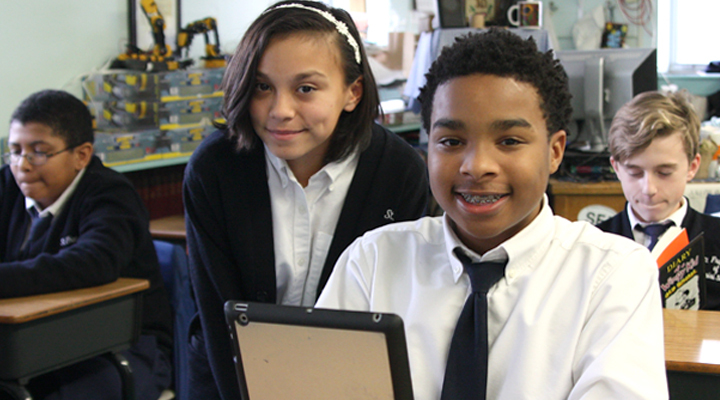 All students grades 2-8 at St. Francis have personal Chromebooks to use in every class. They can access digital textbooks, use a multitude of research tools, and work with apps for studying, creating videos, and communication in multiple forms. In their homeroom classes, all students have access to multiple desktop computers. All classrooms have an electronic display -- a projector, a Smartboard, a wide-screen TV, or a combination of these tools -- for the enhancement of lessons in all subject areas. 4th and 5th graders have a weekly technology class which focuses on the use of Google Apps for word processing and email. 3rd graders explore the creative uses of iPads by editing photos, composing music on Garage Band, and learning the basics of video editing. In the primary and preschool classes, iPads and desktops are used for online learning through sites such as Dreambox Math. St. Francis of Assisi School students will have access to this same technology and a curriculum that allows our students to become more ready every day for future discoveries and advances we have yet envisioned. 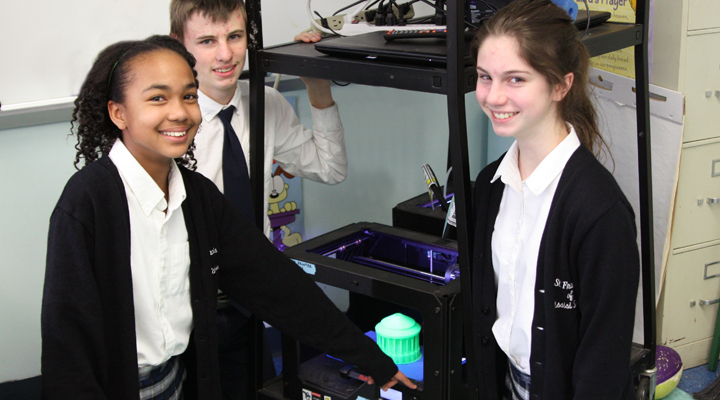 Students in Middle School Design classes have used the 3-d printers as part of several projects as part of the International Baccalaureate program. 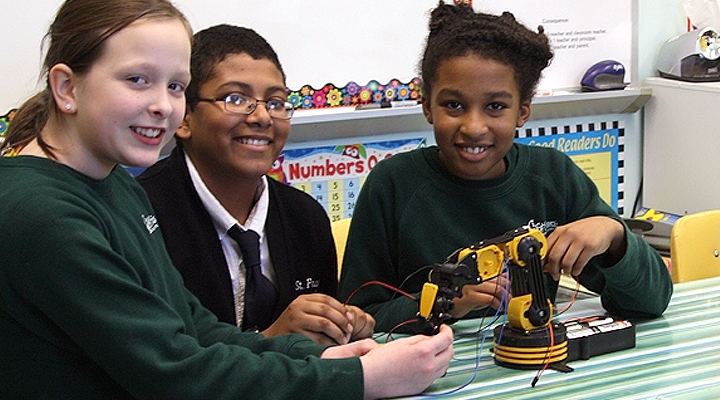 St. Francis also has after-school STEM Clubs for grades 2-8. Students work with hands-on STEM materials to solve real-life challenges. Older students explore the design and programming of robots using Legos and other tools. The STEM club is part of a collaborative initiative with Stevenson University, and was the recipient of a recent grant from the Knott Foundation. © 2019 St. Francis of Assisi School.